Alcatel Zip LTE Price, Review, Deals, Cost, & Sales! 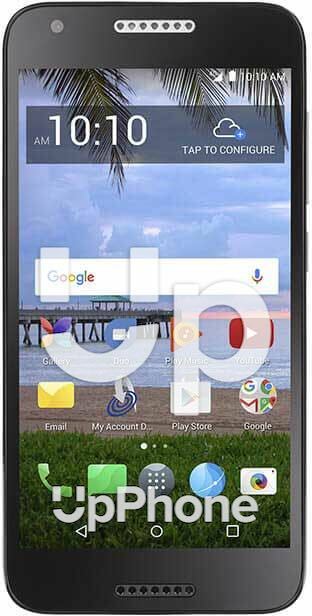 Home / Compare Cell Phones / Alcatel Zip LTE Price, Review, Deals, Cost, & Sales! The Alcatel Zip LTE is an entry level phone designed with a 5" display, 5MP camera and a 2400mAh battery. This device comes with a 5" IPS display screen with a 1280 x 720 resolution. In comparison, the Alcatel Onetouch Pixi Avion LTE has a 4.5" TFT screen display with a resolution of 854 x 480 pixels. The Alcatel Zip LTE has a 5MP F/2.0 aperture rear camera and a 2MP front camera. It has a 16GB onboard drive with support for up to 32GB via microSD. While the Alcatel Onetouch Pixi Avion LTE has an 8GB drive and supports up to 32GB storage via microSD. This device comes with a single front firing speaker which doubles as the mouthpiece. Audio quality is pretty good and loud. This device runs on a 4 core CPU clocked at 1.1GHz and a 2GB RAM. Performance is decent and can handle multitasking. While the Alcatel Onetouch Pixi Avion LTE has a 1.1 GHz processor with four cores and 1 GB RAM. Powering the device is a tiny 2400mAh battery. It can hold conversations for up to 16 hours and standby time of up to 10 days. The Alcatel Zip LTE is an affordable device. It has a 2GB RAM. It comes with mediocre camera which is expected from a budget phone. This device has an M4/T4 hearing aid rating. Comes with a 16GB internal storage.